A weekend that starts with Herbie Hancock’s first solo tour and moves on with a CD release and Halloween reprise from the Atlantis Quartet before finding a John Scofield Quartet gig midweek is no trick. Just a very jazzy set of treats for Twin Cities’ jazz fans. Hard to imagine that in his 50+ years of touring, Herbie Hancock is just getting around to his first solo excursion. Minnesota Orchestra Hall is one of his few stops on the Midwest leg, this Friday night (10/28). If anyone can make this cavernous hall into a jazz venue, it’s the eclectic, timeless Herbie, particularly with his very own Fazioli piano on stage. And some electronic devices as well. Tickets remain. Be there. Now, for something really different, and just a short walk from Orchestra Hall, check out the young musicians flying under the label of Alicia Steele and The Endeavors, playing in the Late Night slot at the Dakota on Friday (10/28). The band includes some up-and-coming local jazzers--keyboardist Joe Strachan, saxophonist Nelson Devereaux, bassist Ben Kelly and drummer Miguel Hurtado--with leader and hip-hop/R&B artist Alicia Steele making the mix a musical mosaic. I am only familiar with Strachan and Hurtado, but that is enough--these guys are heading a new wave of new music in town. And don’t miss the celebration of the Atlantis Quartet’s third recording, Lines in the Sand, makings its debut at the Artists Quarter this weekend (10/28-29). Recorded life at the AQ last May, the band reconsiders some earlier favorites as well as introducing a few new compositions from guitarist Zacc Harris and bassist Chris Bates. Saxophonist Brandon Wozniak and drummer Pete Hennig are well represented as well, and all in all, the music underscores the inventive musicianship that has made this band stand out since it first started gigging six years ago. And Atlantis will honor its beloved Halloween tradition with yet another run at an iconic recording, this time taking on Sonny Rollins’s The Bridge in full. 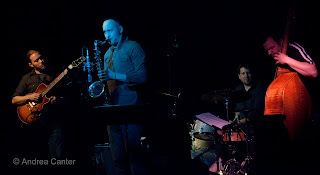 Original music and Sonny Rollins! Almost spooky! 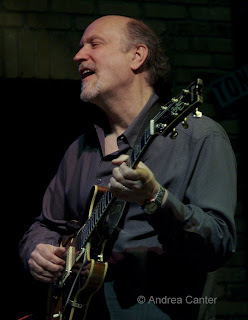 John Scofield has crossed nearly all subgenres of jazz since coming onto the jazz scene with Gerry Mulligan, Charles Mingus and of course, Miles Davis. The guitarist, last in town with his delta driven Piety Street Band, brings an acoustic quartet featuring drummer Gregory Hutchinson to the Dakota for one night, two sets, November 1st. I haven’t heard his new album (Moments of Peace) but it is getting raves. 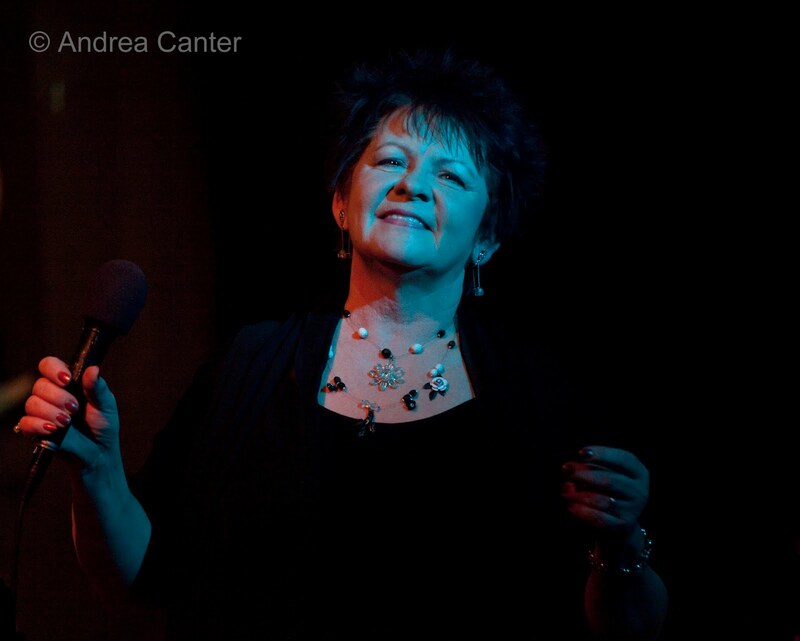 One of the area’s favorite songbirds and jazz educators, Vicky Mountain celebrates a big birthday in big style with a rare gig at the Artists Quarter on Wednesday (11/2). She’s backed by Chris Lomheim, Chris Bates and Kenny Horst with a promise of special guests and of course cake! Earlier in the evening, Cuban dynamo Nachito Herrera presents a workshop at MacPhail, using Rachmaninoff as his point of departure. He’s joined by Minnesota Orchestra principal trumpeter Manny Laurano. 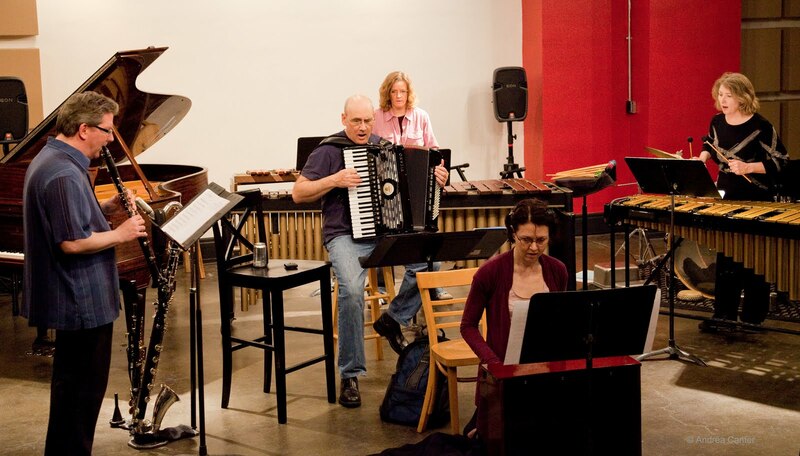 The third annual Zeitgeist New Music Cabaret gets underway at Studio Z on Thursday (11/3), running through Sunday with four hours of music each evening: November 3: 7:30 pm, Artaria String Quartet; 8:30 p., Zeitgeist; 9:30 pm, Illicit Sextet. November 4: 7:30 pm, Renegade Ensemble; 8:30 pm, Zeitgeist; 9:30 pm, Nirmala Rajasekar; 10:30 pm, Ill Chemistry. November 5: 7:30 pm, Mississippi Peace; 8:30 pm, Zeitgeist; 9:30 pm, Douglas Ewart and Quasar. 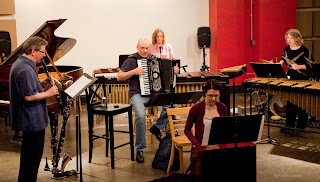 November 6: 7:30 pm, AntiGravity; 8:30 pm, Zeitgeist; 9:30 pm, Julie Johnson and the No-Accounts. There’s another gig everywhere you turn. Check out the calendar on the KBEM website.